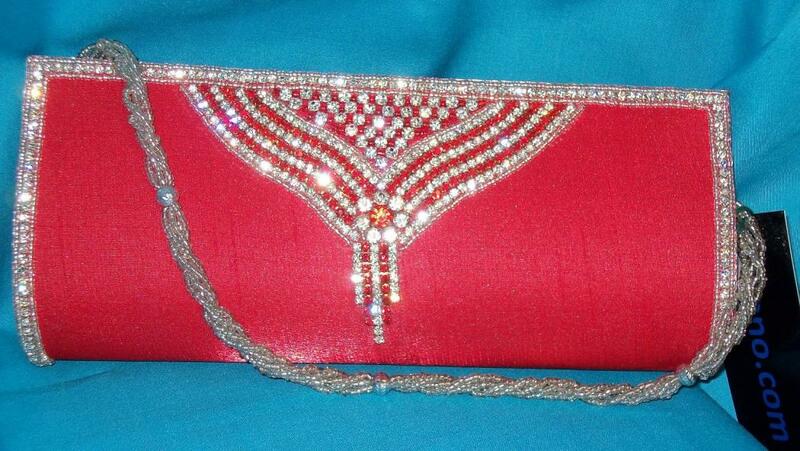 Red Tussar Wedding Wear Clutch Purse with Intricate detail. Size: Length: 10" Width: 5"
Buy Red Bejeweled Handmade Clutch Purse Bag for Wedding Parties, sold & shipped by Shieno Boutique where you can shop online for Latest Sarees, Salwar Kameez, Shawls, Jewelry & Clutches. 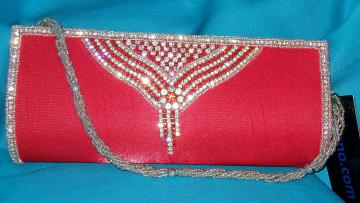 This Red Clutch collection has been tagged as handmade bag, pocket book, handbag, small designer purse, evening clutch. Beautiful Red n Pink Large Potli Bag 20"